Christmas was quite an experience this year! Everything from office parties to morris dancers, to celebrity appearances ensured we were kept on our toes! 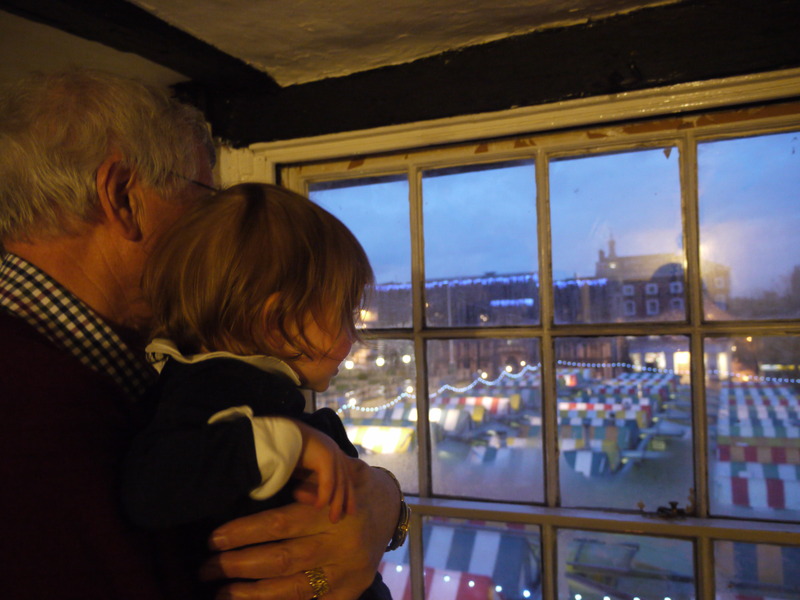 The only respite came on Christmas day which we decided to have in the pub, upstairs over-looking the market. Before Christmas, a friend of ours had been given some terribly sad news. Sitting with my family and my little daughter rushing about trying to play the games, I felt so terribly lucky …but so aware it’s not a great time of year for everyone. Nelson’s journey supports children and young people under 18 years who have experienced the death of a sibling, parent or significant other in their life. It’s something which affects so many, and at this time of year seems so particularly acute. In 2012 alone they helped over 400 children and having not known much about the charity before… we hope to make others aware of it where we can from now on.